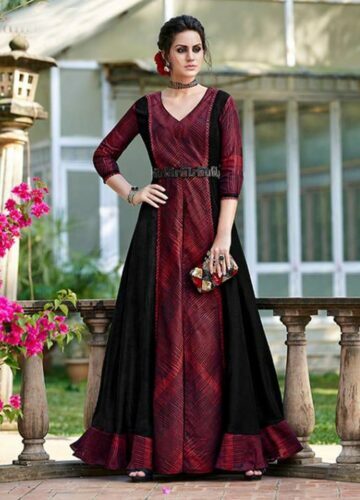 FBRIC – Silk Georgette, Inner Santoon, Satin Silk Digital Print, Two Tone Slub Silk,The Silk Chiffon Dupatta. 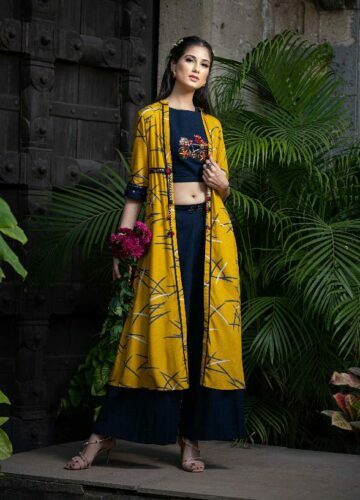 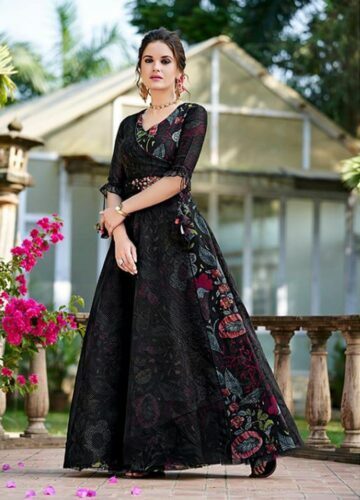 Fabric– Slub Silk Yoke, Banarsi Jaquard, Border, Organza Butti, Dupatta, Inner Santoon, Silk Self Jaquard, Butti, Kali Silk. 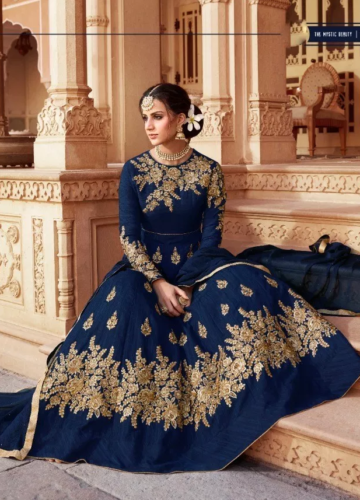 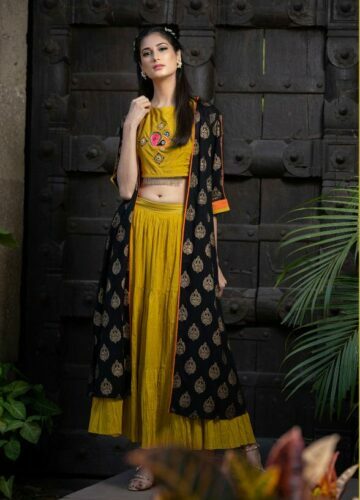 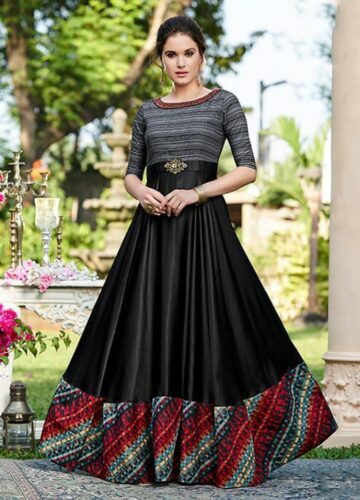 Elegant Anarkali with heavy work on border,Dupatta with four side Diamond and Border with floor length, Anarkali Heavy Sleeves work.